Dr. Jenifer Chatfield is the Staff Veterinarian at 4J Conservation Center and an instructor for FEMA/DHS courses. Dr. Chatfield has a particular interest in infectious diseases & biosecurity. Her work for the DHS’s courses is focused on topics such as foreign animal diseases, quarantine and isolation, & malicious introduction of pathogens. Dr. Chatfield served as the Florida Dept of Health’s Influenza Veterinary and Agriculture Liaison and the Cities Readiness Initiative Coordinator (CRI), developing plans for response to bioterrorism in large metropolitan areas. 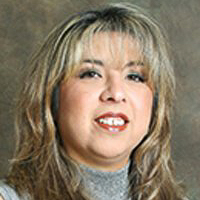 She was selected as a Future Leader by the AVMA and received 2 Gold Star awards from the FVMA. Jessica Moore CMG, IGMS is the owner of Show Stoppers Pet Styling in Waukegan, Illinois. 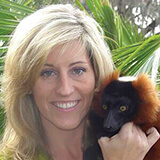 Jessica has been a pet stylist for 18 years and began competing in 2006. After accelerating in the competition ring quickly she moved from entry level to open in a matter of a few shows. In 2007-10 she ended the years in the top 20. Jessica has walked away with multitude of 1st, 2nd and 3rd place wins, including many group placements in every level as well as several Best Groomed Dog Awards and Best in Show. Philip Schafmayer NCMG was a Professional All Breed AKC Handler for over 18 years, successfully campaigning some of the top dogs in the country in various breeds. Philip has been a professional pet stylist since 1997. Philip became a Certified Master Groomer with NDGAA in two consecutive shows in 2017. Philip was awarded Best In Show and Best All Around Groomer at NEPGP 2017 at his very first competition, then again at NEPGP 2018. Philip made the GroomTeam USA Top 10 Pet Stylists for 2017 as well as 2018. He earned the #5 Groom Team USA spot for 2018, as well as being announced as the 2020 World Travel Team Alternate. In February 2018 Philip retired from Professional Handling and opened Dogs by Design Pet Salon in Danielson, CT. As the salon is coming up on its one-year anniversary, Philip is getting ready to open his second salon in Cranston, RI. Bill is a founding owner of InTouch Practice Communications and has, for the past 25 years, helped over 7,000 practices educate their clients and share their messages. He has a Bachelor of Arts degree in communications from Western Illinois University, is a former United States Marine, sits on the board of directors for VetPartners, and is a graduate of the Veterinary Management Institute at Purdue. Bill and his family live in the Chicago suburb of Schererville, IN, where he remains active in the Marine Corps veterans’ community, loves his Chicago Cubs, and spends tons of time learning about digital marketing!